The Right Plumbing Solution is Just One Phone Call or Email Away. At Arnold & Sons, all of our plumbing, drain, water heater, and related services are performed exactly the same way: correctly, to code, and with your 100% satisfaction as our chief priority. If that sounds like an approach to customer service you can embrace, contact Arnold & Sons now by phone or email. 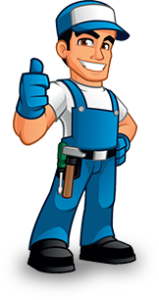 Arnold & Sons Plumbing, Sewer & Drain, Inc.